People love the organic convenience of foods created by Amy’s Kitchen. 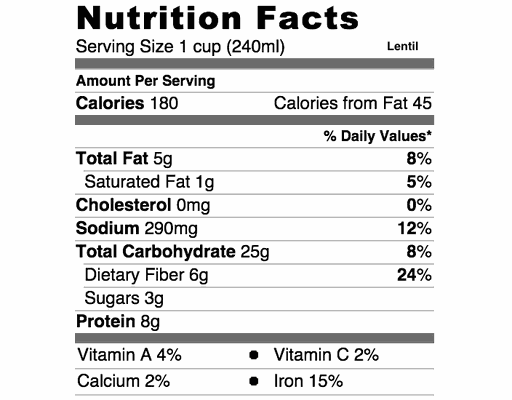 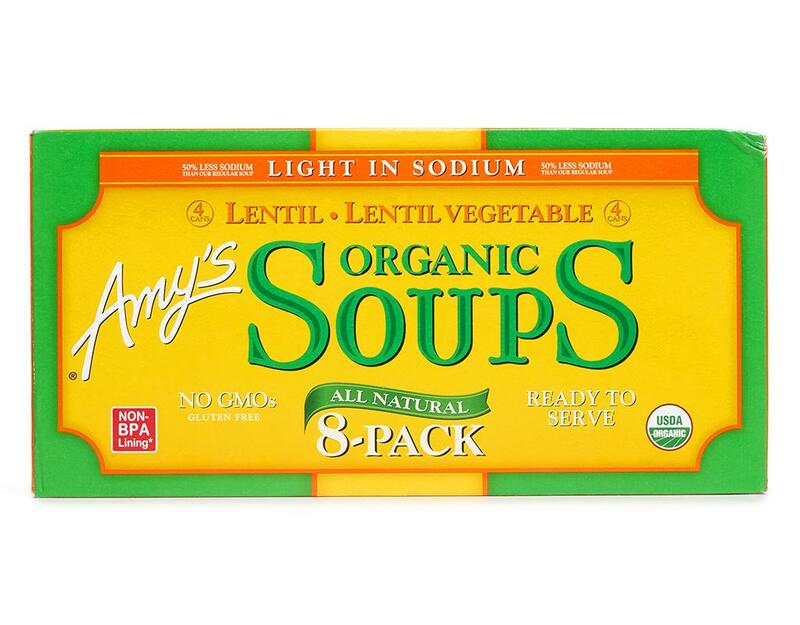 Amy’s food tastes so good because it’s made from the kind of real food ingredients that people use in their own kitchens…no additives, no preservatives, no GMOs. If a child can’t pronounce it, you won’t find it on an Amy’s label. 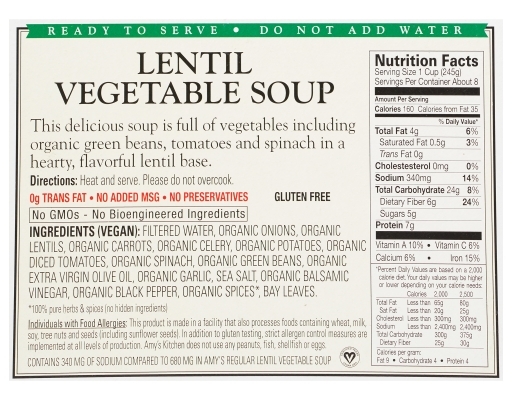 The cooking methods are like those used at home or in fine restaurants. 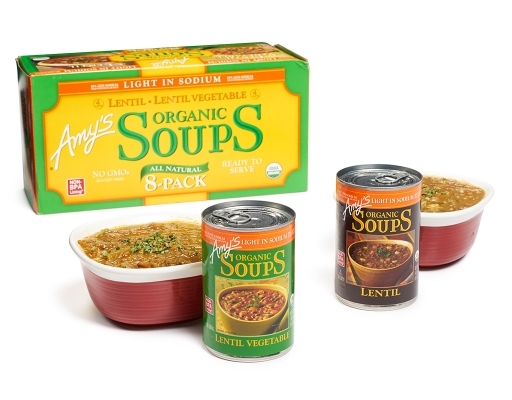 Amy's fruits, vegetables and grains are grown organically, the way nature intended food to grow, without the use of insecticides and other harmful chemicals. This benefits the growers, the consumers, and the environment. 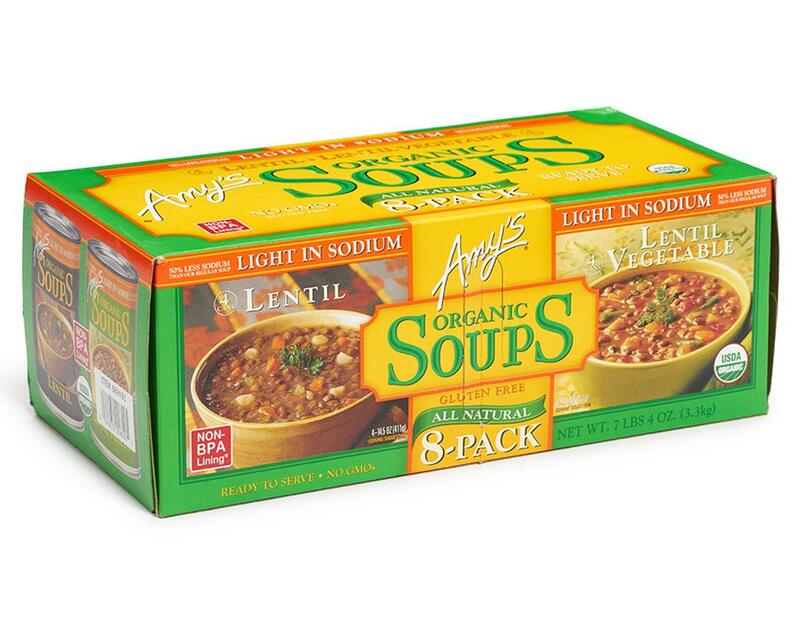 • 4 Lentil: Amy, who is a picky eater, loves this nourishing Lentil Soup made from mom’s favorite recipe. 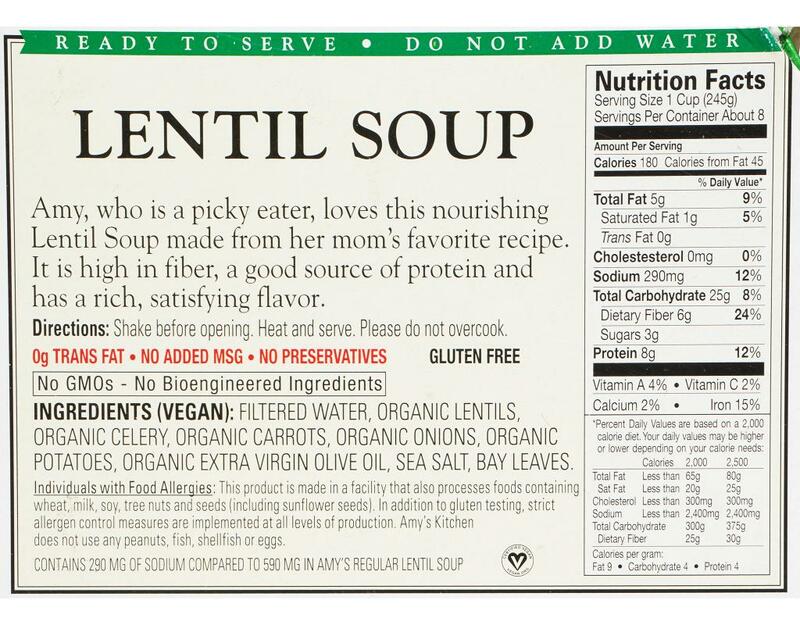 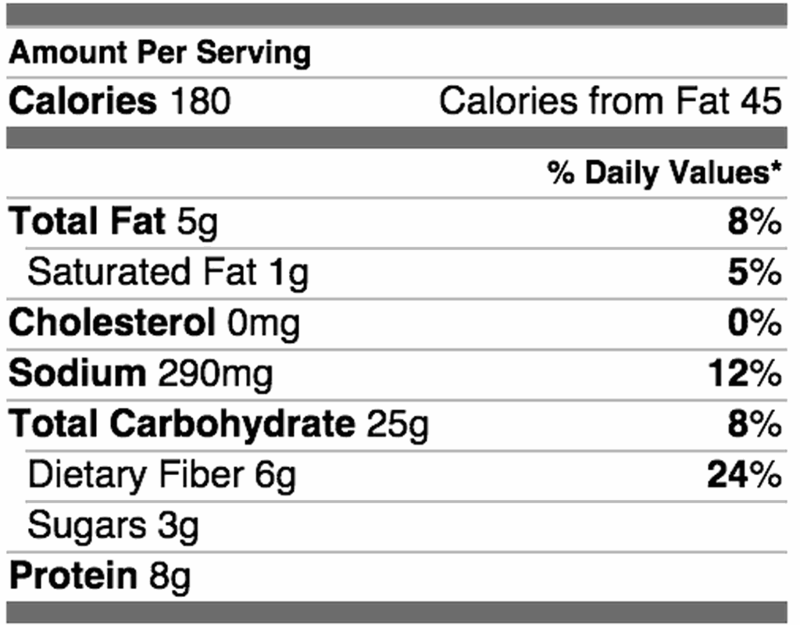 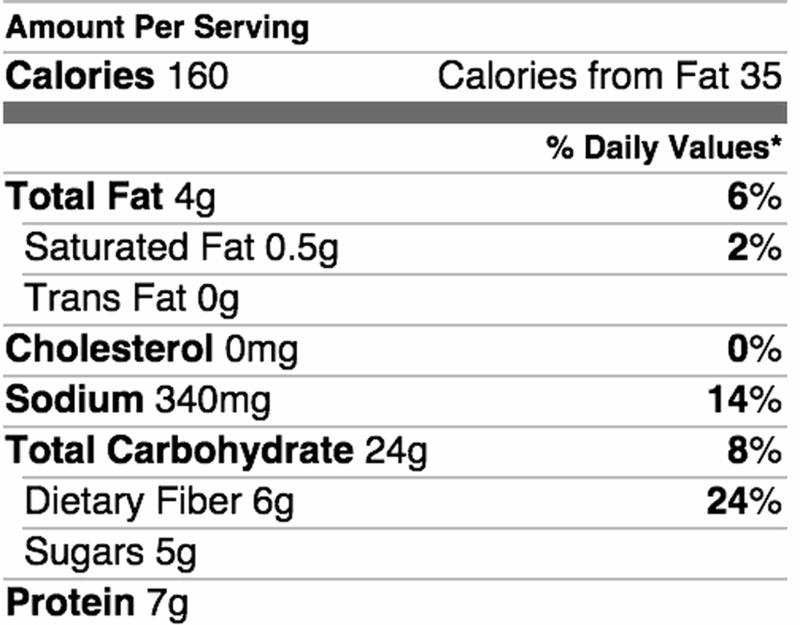 It is high in fiber, a good source of protein and has a rich, satisfying flavor. 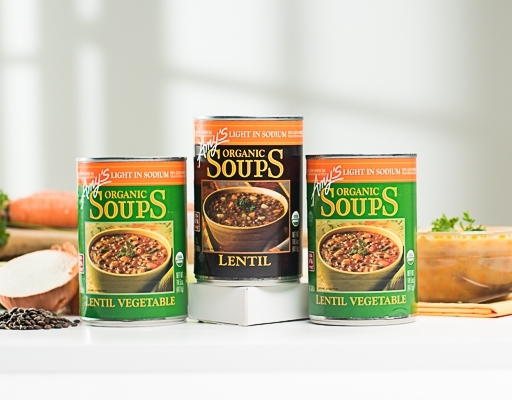 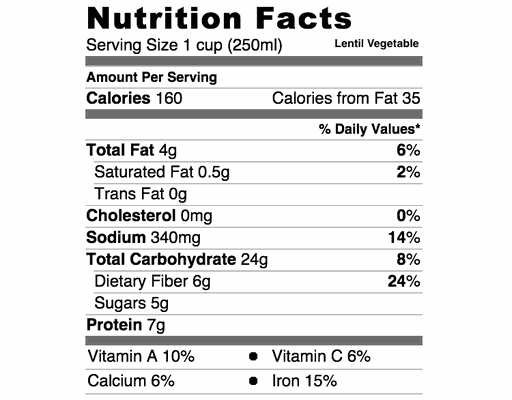 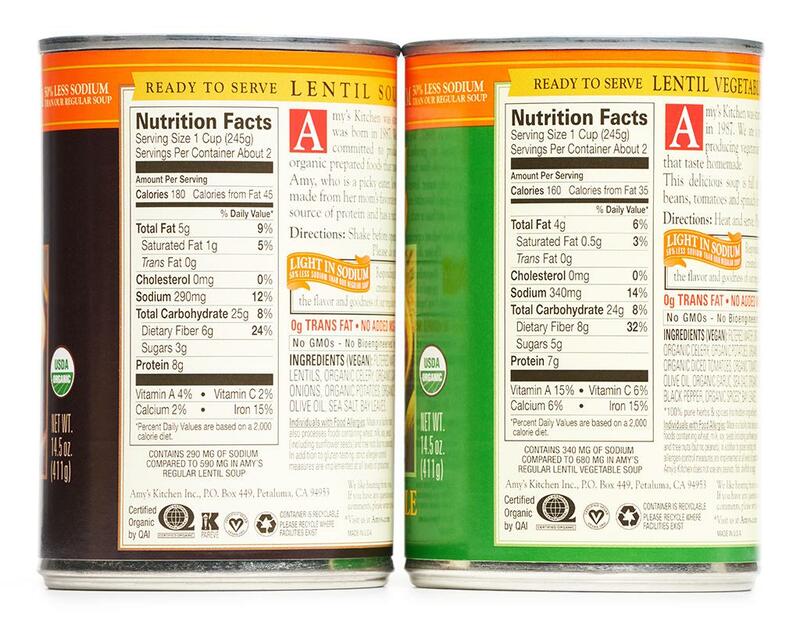 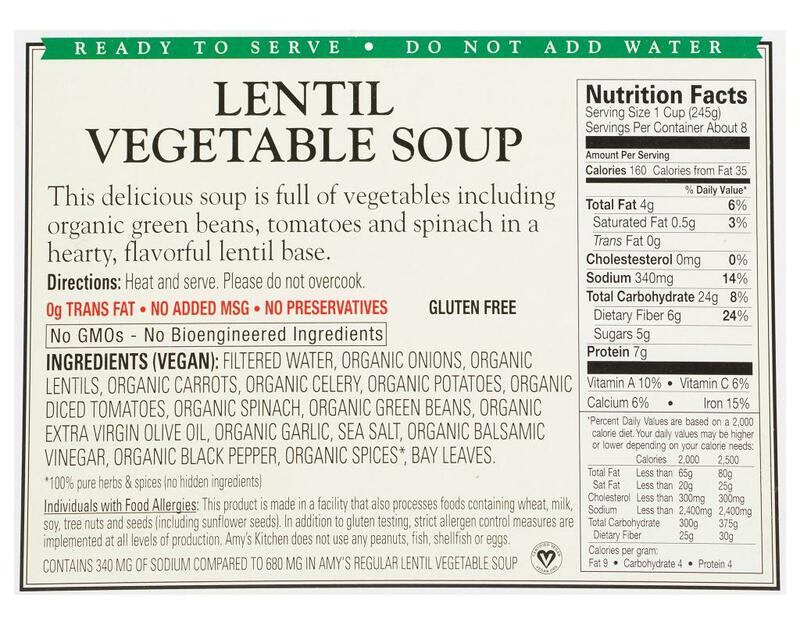 • 4 Lentil Vegetable: This delicious soup is full of vegetables including organic green beans, tomatoes and spinach in a hearty, flavorful lentil base. 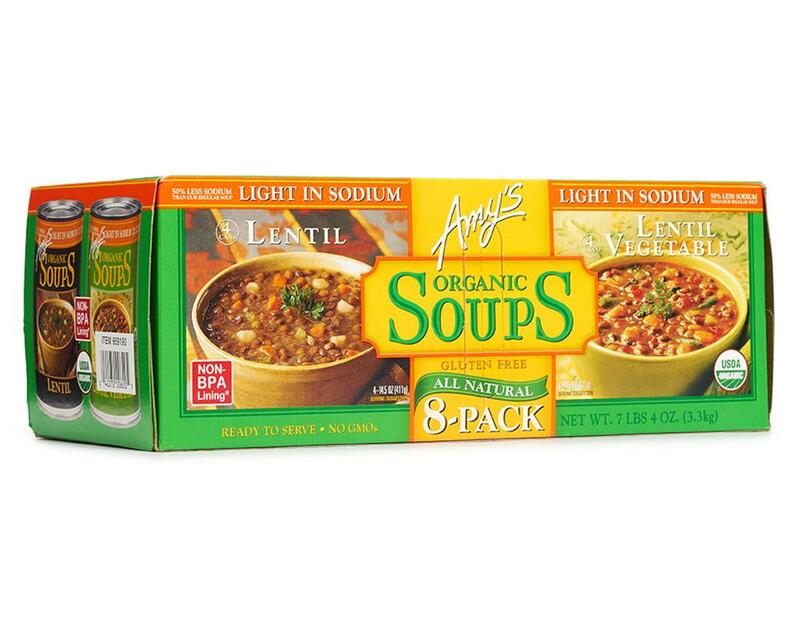 Lentil: Filtered Water, Organic Lentils, Organic Celery, Organic Carrots, Organic Onions, Organic Potatoes, Organic Extra Virgin Olive Oil, Sea Salt, Bay Leaves.